Eye: Topaz with flashes of gold. Nose: A full-bodied nose of aromatic richness and hints of licorice and touches of vanilla and cedar wood. Palate: Good length on the palate with a very smooth, layered finish. 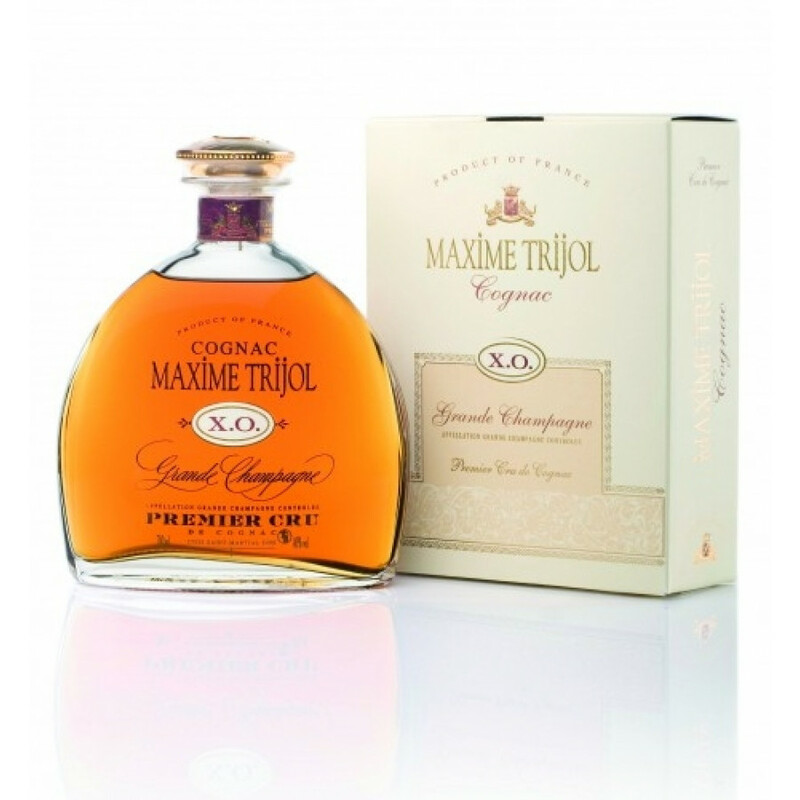 Forming part of Maxime Trijol’s exclusive collection of Cognacs crafted from the Premier Cru is the Maxime Trijol XO Grande Champagne Cognac. A slightly more masculine range, this Extra Old Cognac has been matured for around 30 years average on the Trijol 30-hectare estate. It is a blend of eaux-de-vie of varying ages, and they often age their Cognacs much longer than the minimum required for a typical XO. To this day, the family continues to oversee each step and it’s thanks to this intimate relationship between maker and métier that the house delivers an XO Grande Champagne Cognac imbued with a lengthy finish. A special Cognac from an exceptional terroir, the calcareous and mineral-rich soils of this area give particularly expressive wines. To create the Trijol XO Grande Champagne Cognac, Ugni Blanc grape from the Premier Cru are crushed and pressed between September and October, and juices fermented without sulfur dioxide. The wine is then kept upon the lees, and according to AOC Cognac rules, from March 31st onwards the wine process is transformed into Cognac over double distillation. The Charente method is preferred, which consists of double heating in the traditional pot still. It is then matured in Limousin French oak barrels. A rounded, classic decanter with a gorgeous cream box.